Cover art for the biography of the great Norma Miller - "The Queen of Swing", and one of the true pioneers of Swing Dance. Edited by Alan Govenar, and based on interviews with Norma, the biography chronicles her rise to fame as one of the original Lindy Hop dancers in the Savoy Theater in NYC, evoking memories of the early years of the Jazz Age in America and the Harlem Renaissance. 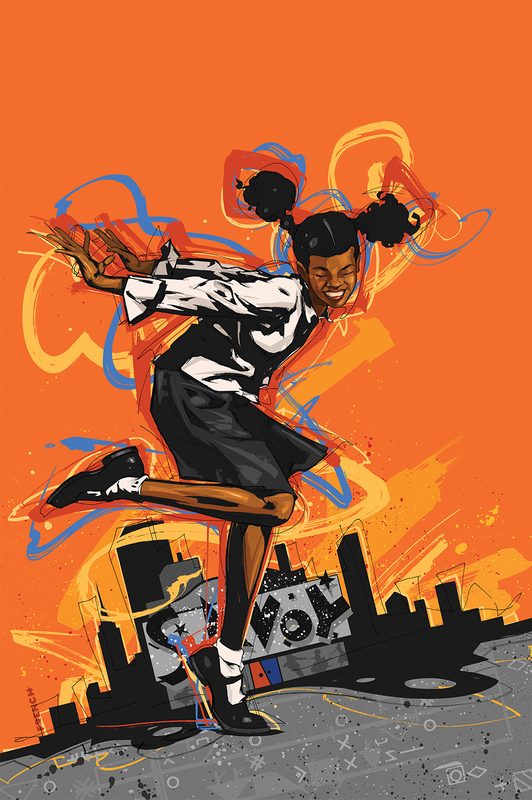 This illustration developed from listening to Norma tell the story of how as a young girl she danced on the street for spare change in front of the Savoy Ballroom in Harlem.